This feature was sponsored by Lagostina’s NEW Opera Cookware. All opinions are my own. 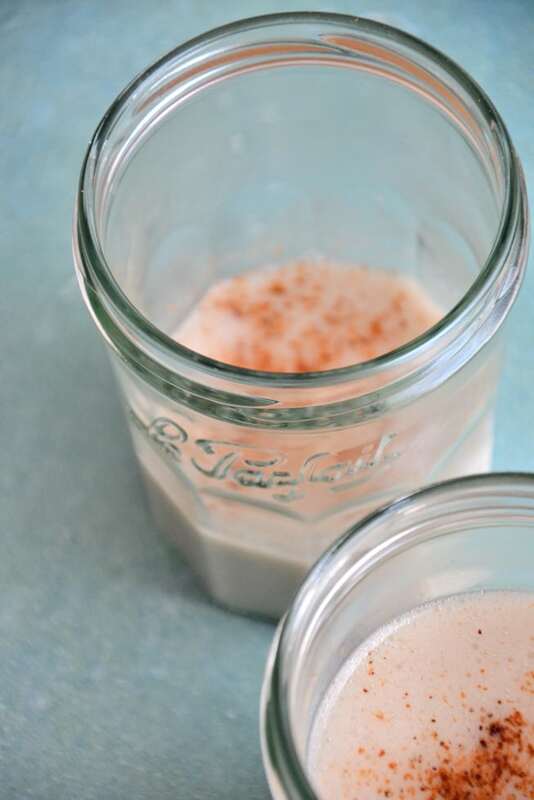 Have you tried Dairy-Free Eggnog before? If you haven’t, you’re in for a treat. I’ve never been an eggnog fan because the ‘real’ eggnog made my stomach do cartwheels and I’ve avoided it ever since. 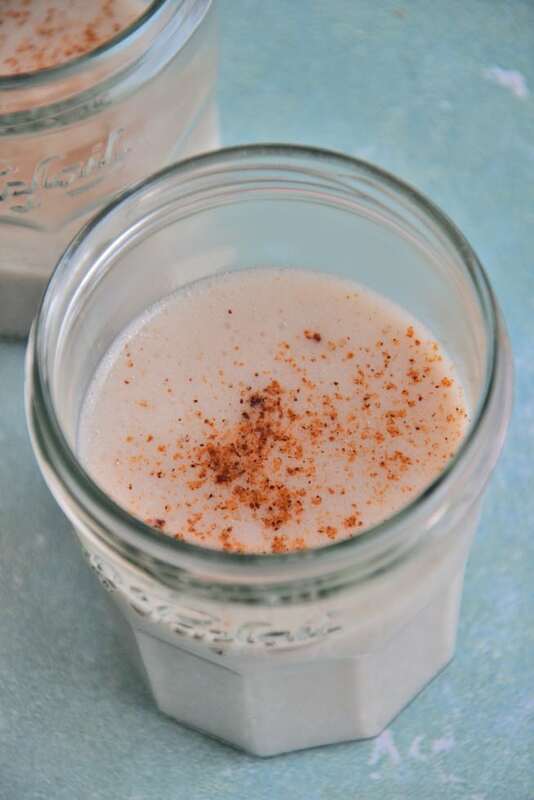 But, this year I thought it would be lovely to create a dairy-free version of eggnog that you can enjoy with your family, friends and relatives without getting a belly ache. Lagostina, who I’ve admired for years, prides itself on bringing families together in the kitchen and around the dinner table so they teamed up with Williams-Sonoma and asked me to create a delicious recipe with the theme “Holiday Movie Night”, which means the recipe that I created for you today using Lagostina’s NEW Opera Cookware was inspired by a holiday movie. What movie? The best Christmas movie of all time, of course! Christmas Vacation with Chevy Chase. This movie makes me laugh every year and if you’ve seen it, you know that eggnog makes a few appearances in this film, therefore today’s recipe is my new Dairy-Free Eggnog. 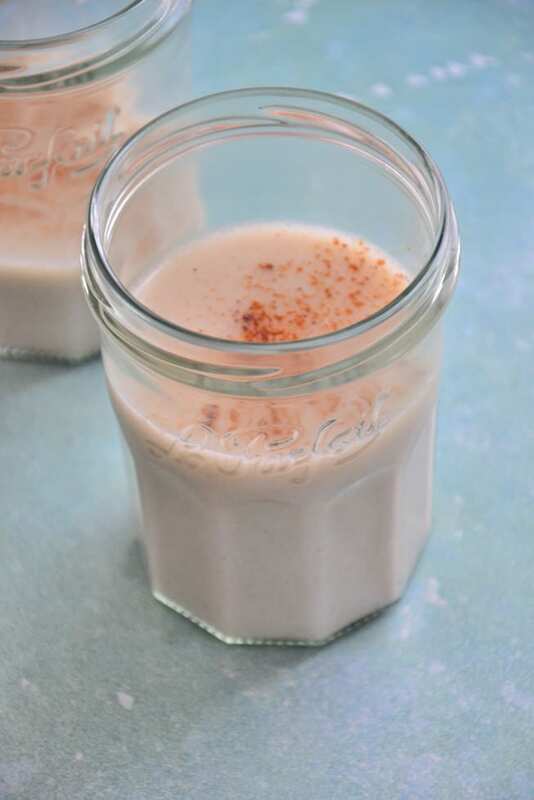 All the goodness of eggnog without the gluten, dairy, soy and refined sugar! Before we move onto this Dairy-Free Eggnog, I have to be honest with you. I just moved last month and when I moved in, I only had two pots because I threw out all my old pots and pans. 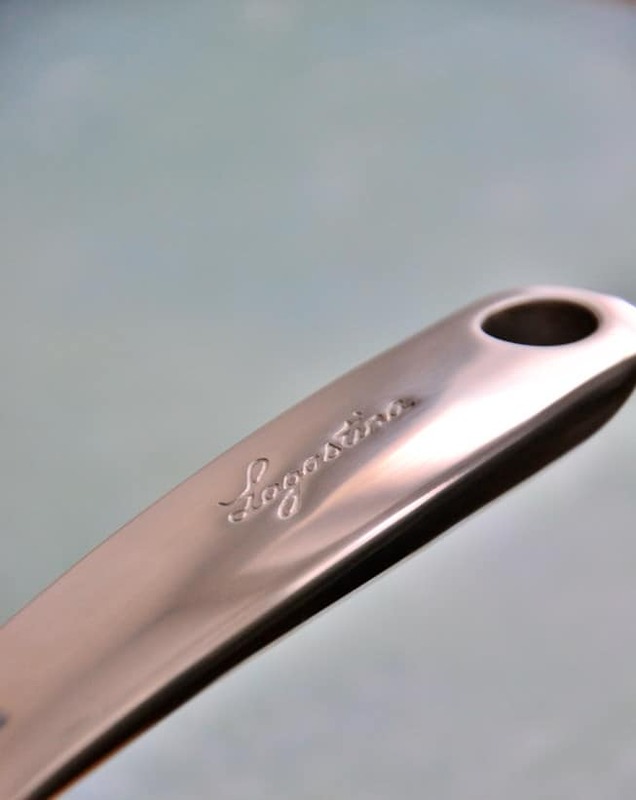 I remember going to sleep a few weeks ago saying, “I need new pots and pans.” No joke, Lagostina emailed me a few days later and sent me their stunning NEW Opera Cookware and I couldn’t wait to use it and share my thoughts with you. All the pots and pans are so shiny and I swear I can see my reflection in them while I’m cooking! 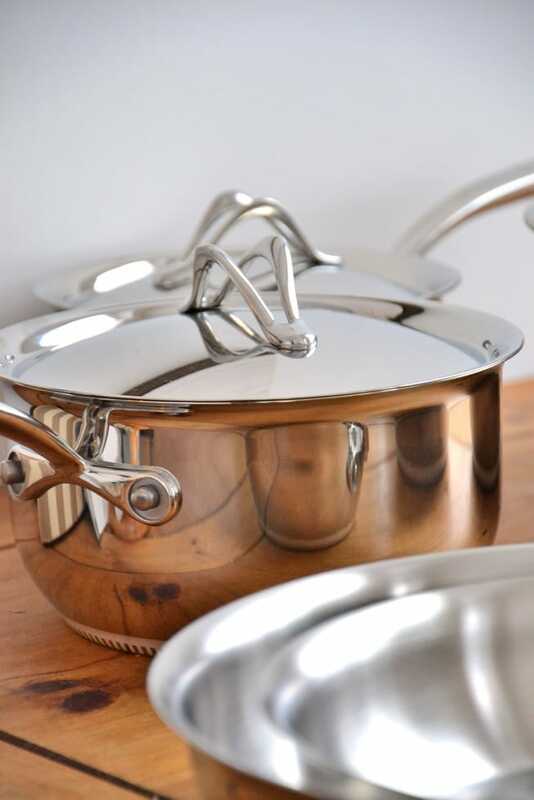 These pots and pans are made in Italy and are oven and broiler safe (up to 500 degrees F) so they’re safe for all stove tops including induction. Plus, they’re dishwasher-safe, which is a huge time saver. This new durable collection is made from stainless steel for low maintenance (which I need, don’t we all?) and has gorgeous flared edges for drip-free pouring. The best part? The pieces nest for compact storage. Just what every New Yorker (or any organized person) needs! 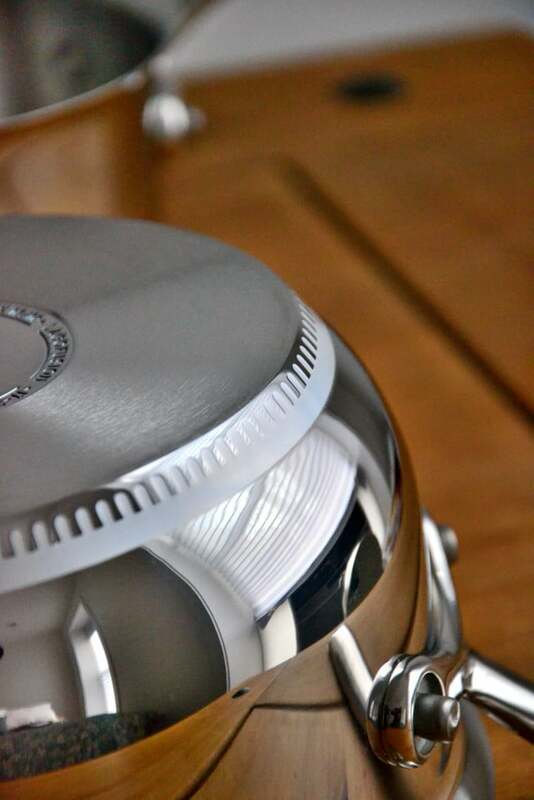 What really makes these pots and pans stand out is the 3-layer LagoFusion base (as you can see in the photograph above) for fast, even heat distribution, ensuring optimal heat diffusion throughout the pots and pans. I really enjoyed cooking with these pots and pans; they’ll surely be making an appearance in my Instagram stories and Facebook Live videos in the future because they’re absolutely beautiful, easy to clean and they cook food evenly, it’s a no brainer for me. 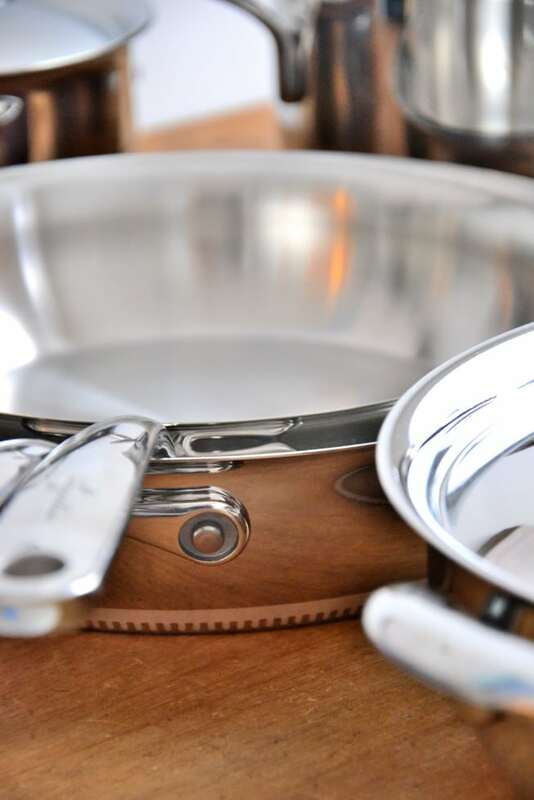 Check out the NEW Opera Cookware and let me know what you think. 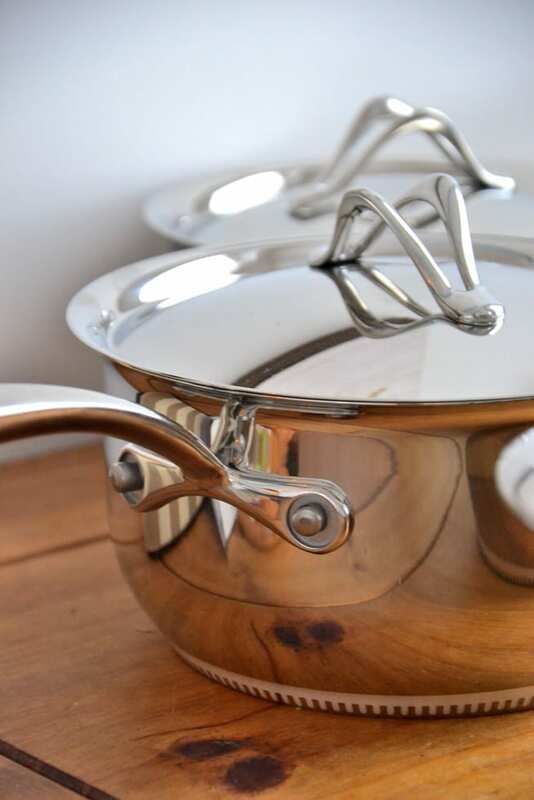 I know you’ll love these pots and pans as much as I do. One winner will receive (1) piece from this new collection. To enter, head on over to my Instagram or Facebook page and follow the entry directions. One winner will be chosen on Tuesday, December 26th at 5PM. Now, let’s enjoy some eggnog. A simple festive beverage to sip on throughout the holiday season. This eggnog is free of gluten, dairy, soy, refined-sugar and eggs. Soak the cashews in a medium bowl covered with water for one hour or overnight on the counter top at room temperature. Drain and rinse the cashews and place them in a high speed blender with the remaining ingredients. Puree until creamy and simmer on the stove top in a small pot for 5 minutes on low heat. 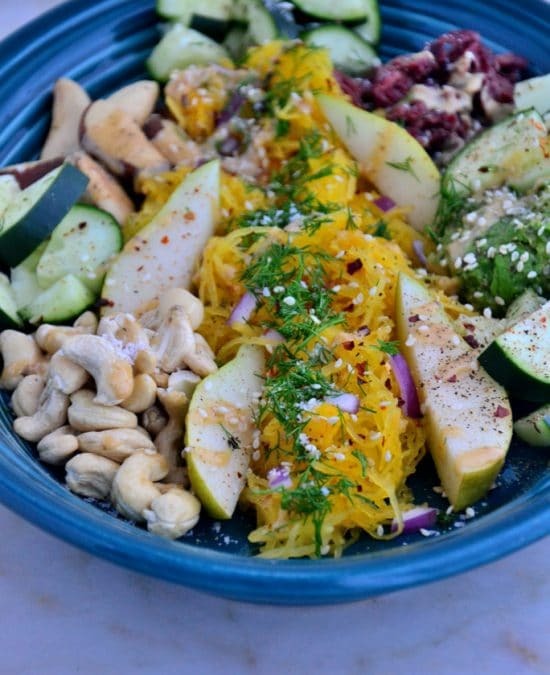 Remove from the heat, set aside to cool and transfer to the refrigerator to chill for at least 1 hour before serving. Add rum, if desired. Oooooo I’m so happy to find this, I couldnt find a great Vegan Egg Nog recipe at Christmas time, so I missed out! 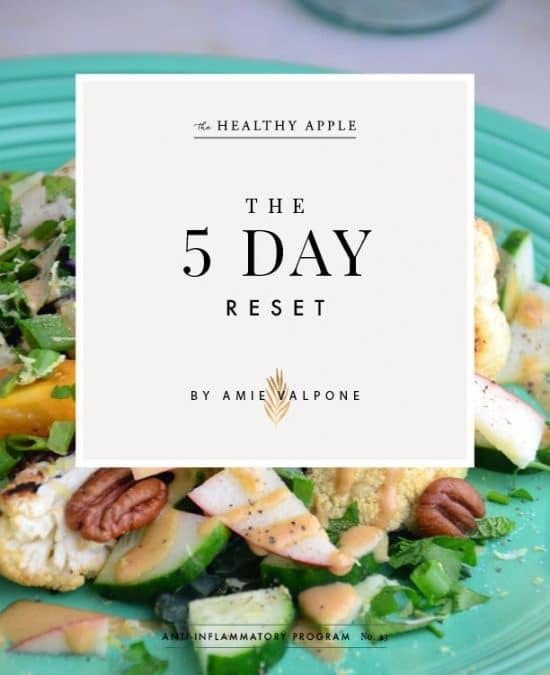 this one sounds Delish. I hope you love it Dena; it’s so easy!